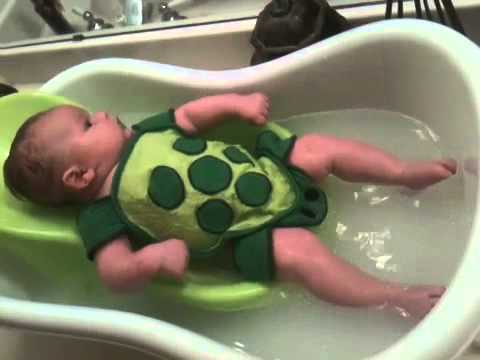 Last night in the bathtub, I took Denver's little feet and moved them back and forth in the water to splash. He loved it! He was smiling and cooing. I did it a few times and then he started moving his arms and legs and trying to splash too! I had my phone on me so I took a little video of him "splashing"! His little legs are getting do strong he'll be splashing water everywhere in no time! That turtle cover up is too cute!